I can’t remember if my alarm actually went off or if I woke up on my own at 2:40AM. I slept like a rock, but then I was wide awake. Marathon mornings don’t usually start quite this early, but nothing about this marathon was typical. First let’s back track to last summer. 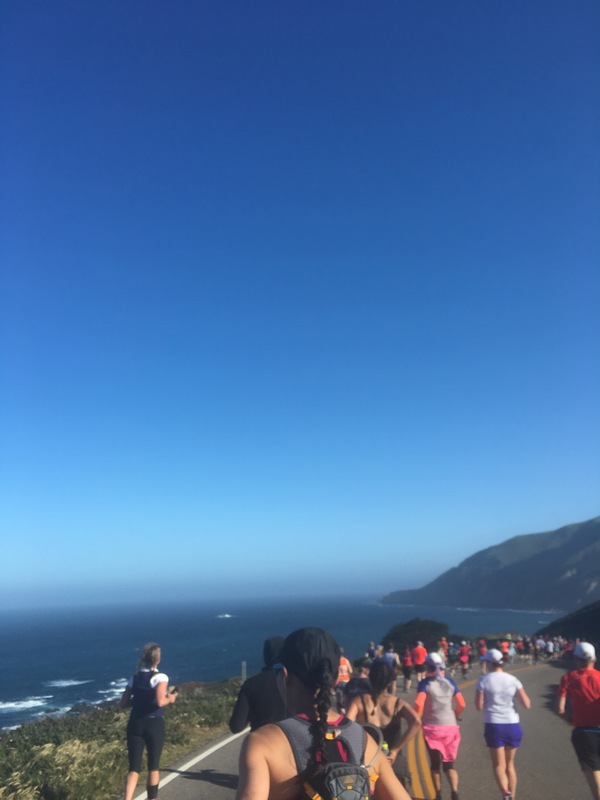 A friend, fellow runner, and Pacific coast native wrote to me about the Big Sur International Marathon lottery for first timers. I threw my name in and figured it was a long shot. It took me three years to get into Chicago. 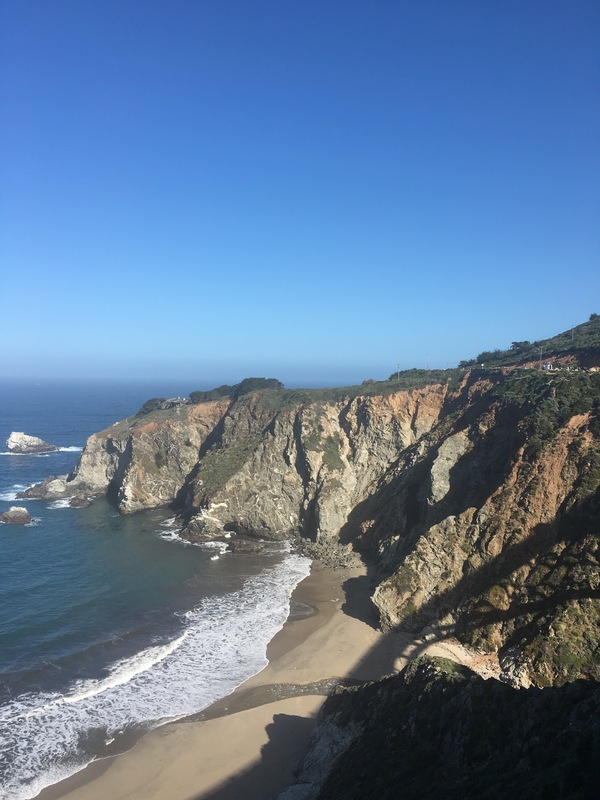 I don’t play money lotteries, but perhaps I should because I got into Big Sur too. Of course I had heard of this notorious marathon and it was on my running bucket list. 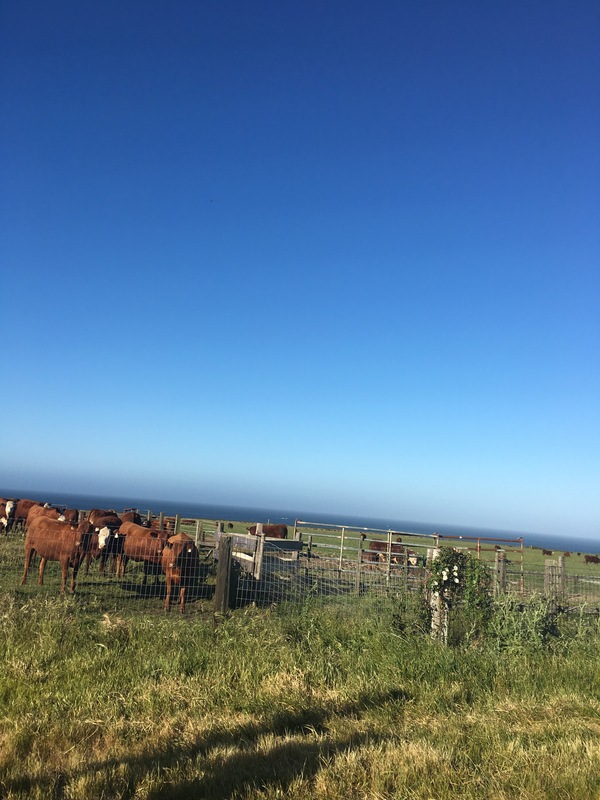 I knew a little bit about it namely that it offered spectacular views of the Pacific coast line. My family and I had never visited this part of the country so the race provided us with a wonderful travel opportunity. I am more than happy to run a marathon if it means visiting and experiencing a new place. Back to the crack of dawn on April 30th. I buzzed about the hotel room quietly disturbing no one. I showered, dressed, and ate half of my pre-marathon bagel with banana and peanut butter. Fueling for this race was interesting. I always try to simulate race day on my long runs, but I often left the house between 5-6AM for a long run and that would have required a 1-2AM wake up. I had a plan in my head and fortunately it worked out. Then there was the question of what to wear. I was expecting a much cooler temperature in the early morning, but it wasn’t bad at all. 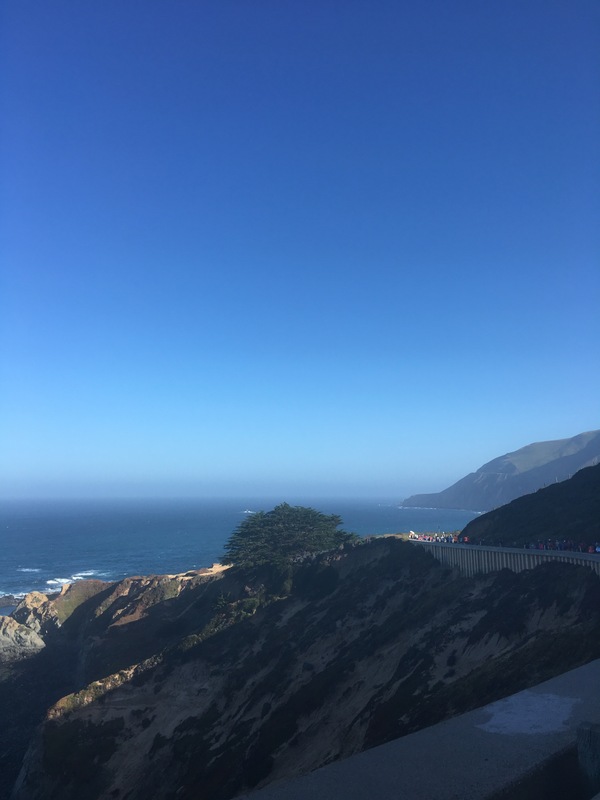 I left the hotel at 3:45 and walked a little less than a mile to the Marriot to catch a bus to the starting area in Big Sur. I was wearing a long sleeve over my T-shirt and I had another shirt in my bag along with a pair of gloves. I never needed the second shirt. I tossed the old long sleeve I was wearing at the finish line. I was extremely grateful for the gloves prior to the start because my hands were cold. Around 3:45AM I joined throngs of runners on the street in the dark all headed to various bus pick up areas around downtown Monterey. Starbucks was open. The Marriot lobby was a buzz of brightly colored running gear as people gathered to wait for the buses. I was expecting a bumpy ride on a school bus, but was instead pleasantly surprised by a very comfortable motor coach bus. I boarded and before I knew it we were on the road. I chatted easily with the guy seated next to me. 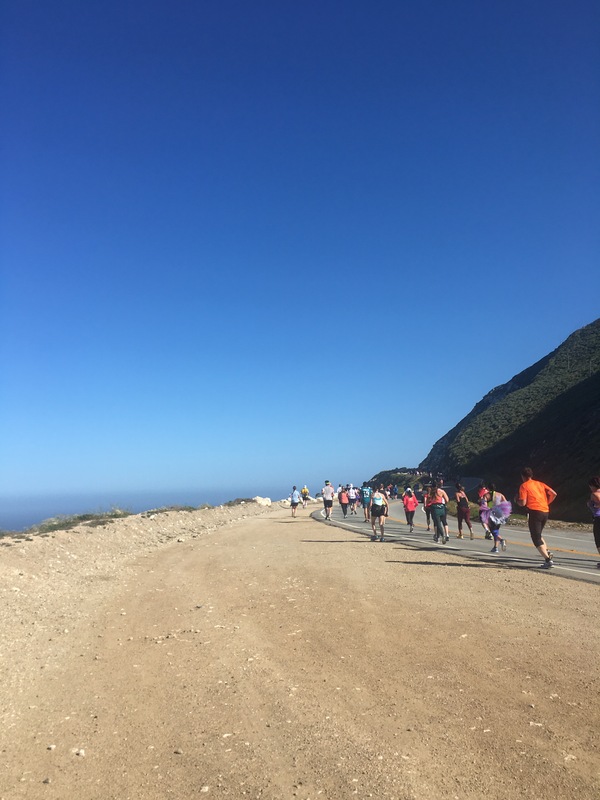 We discovered we were the same age and running Big Sur for the first time. He was from San Francisco and ran with a large running club there. He has run the SF marathon more than once. He has also run Grandfather Mountain Marathon, touted as America’s toughest marathon. He will be one of only 40 participants in this year’s Inca Trail Marathon in August. He directed me to Weather.com’s list of the World’s 15 Toughest Marathons. 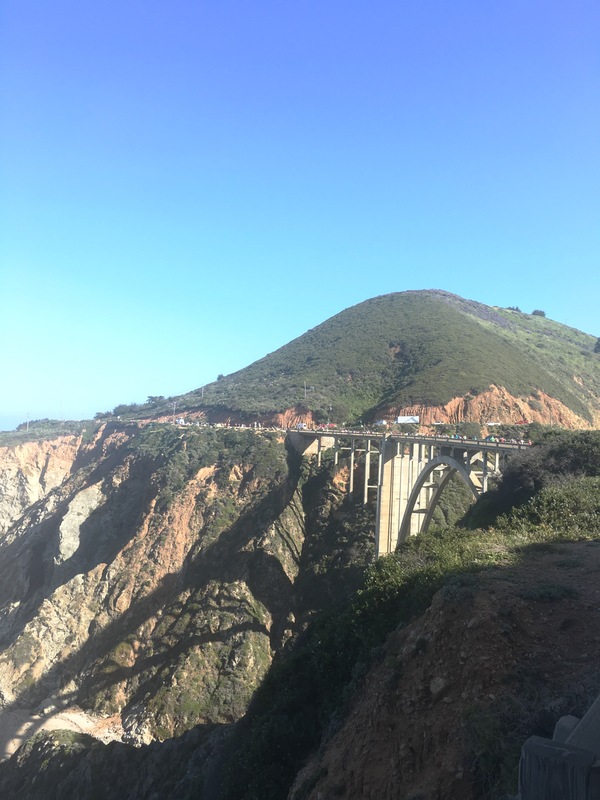 San Francisco is number 15 and Big Sur is number 13. So many races, so little time and money! We arrived about a half mile from the starting area and we were guided through the dark by the flashlights of kind volunteers who graciously gave their time to help in the early morning hours. I moved along listening to the hum of conversations around me. It is really hard to describe how bizarre this all would have been to me about 10 years ago. I am not sure where I imagined life would take me, but this certainly was not it. 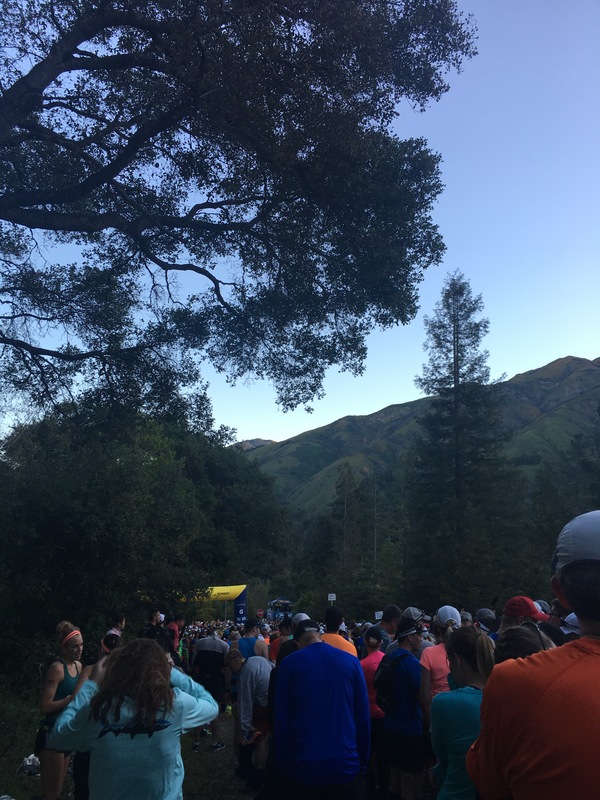 Yet here I was just hours away from beginning my 8th marathon, trekking along in the dark with hundreds of fellow runners in a quiet forest on the coast of California with half a bagel, chia water, and a stick of body glide in my bag. As foreign as this all would have been to me 10 years ago it now makes perfect sense. The starting area was busy. People everywhere. Lines forming for port-a-potties and bag check. Coffee, tea, hot cocoa, bananas, etc. offered to all of the runners. I found a spot a bit away from the crowd and settled down with a small cup of coffee for the nearly 2 hour wait. The coffee helped warm my hands and it actually tasted great. I finished my bagel. Soon I was chatting with a couple of women next to me. One had done 24 marathons and was training for her second Iron Man triathlon. The other was running her 3rd marathon. The conversation flowed effortlessly until it was time to consider entering the long queue for the toilets. It’s all about timing! I chatted with another woman in line. Whenever I mentioned I was from Massachusetts, the first question was “did you run Boston.” I can’t wait to someday answer yes. 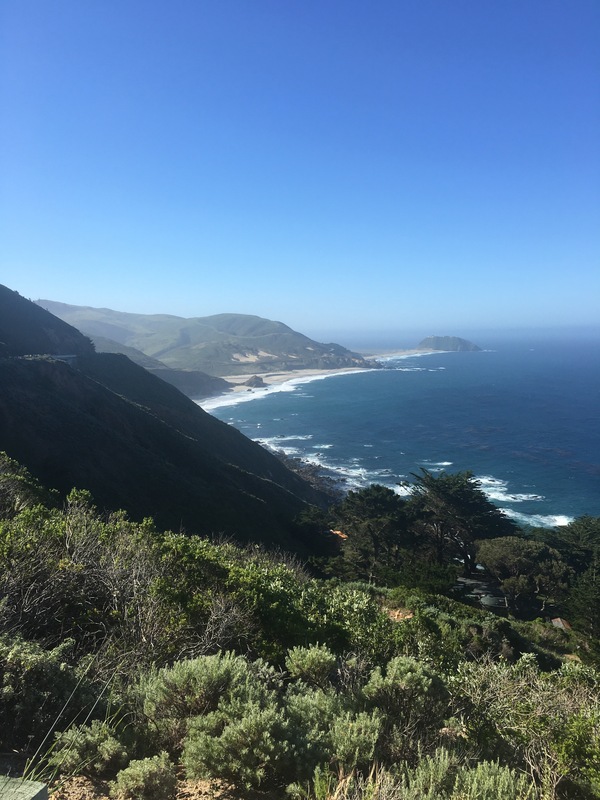 Big Sur hosts the Boston to Big Sur challenge for runners who want to do both races. 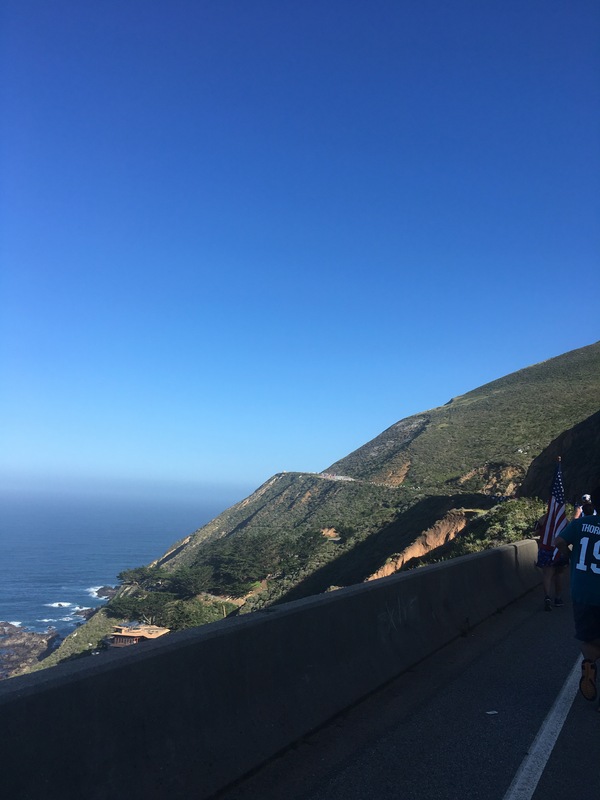 This year the races were about two weeks apart, but in previous years runners had only 5 days rest between Boston and Big Sur. By the time I lined up at the start there were less than 10 minutes to go. The sky was clearing and I was treated to my first glimpse of the tranquil surroundings. The gun went off and I watched as the first wave started. My group was next. I fell into a comfortable pace heeding all the advice I had read. Don’t go out too fast. Save your energy for the hills. Enjoy the peacefulness of the forest. Soak it all up. 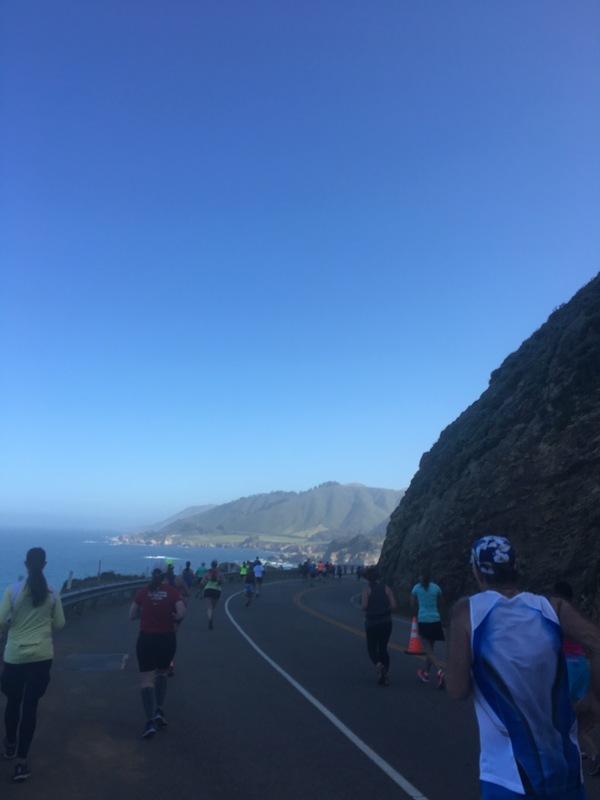 I read one previous race participant’s blog post who had similar concerns and he wrote that he only put on the music for the long climb to Hurricane Point. I figured I would bring my headphones and do the same. I was instantly entertained by the excited runners around me. I picked up bits and pieces of conversations in many languages. Then as the crowd thinned out I enjoyed the soothing sounds of nature, bubbling brooks, birds, a distant waterfall maybe. It was beautiful. I just ran. No pressure, no time goal, no urge to do anything more than what I was doing in the moment. Around the 10K mark the forest gave way to coast line. My photos do not do the views justice. The expansive ocean vistas that sprawled out to my left were stunning. To my right were vast green caverns and cliffs. 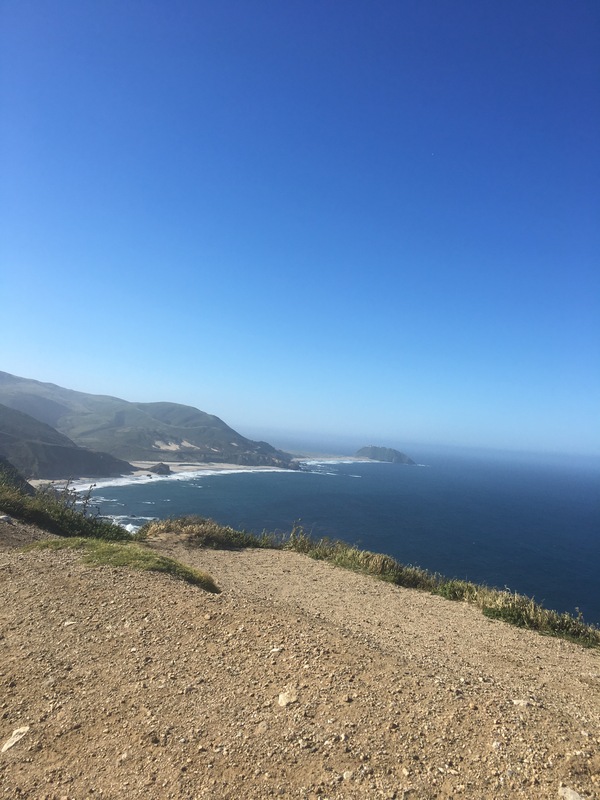 It was breathtaking and when you didn’t think it could be more beautiful you would crest a hill and be treated to an even more incredible view. Don’t forget to look behind was another common piece of advice from previous participants. 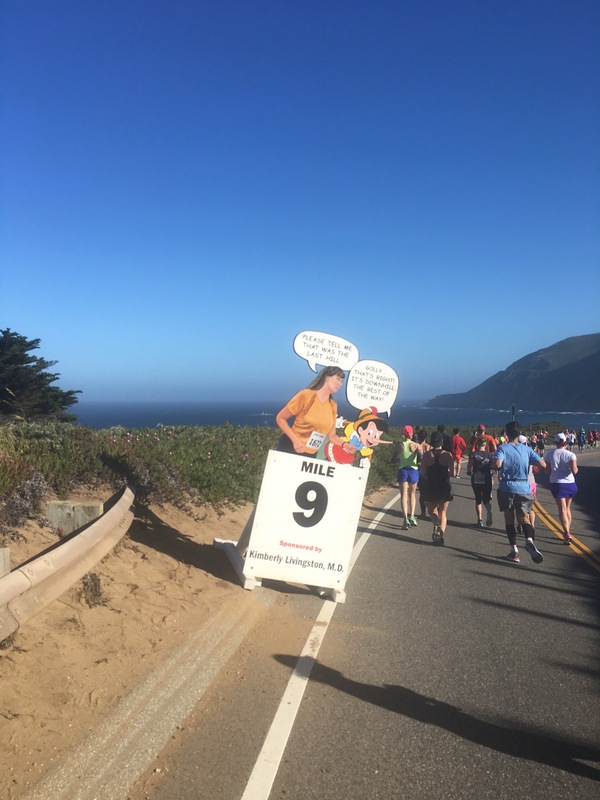 It is not something you typically do during a race, but it really is a must in the Big Sur marathon. Appreciating the views from behind gives you a unique perspective of the course. There was a light playfulness to this race as well. 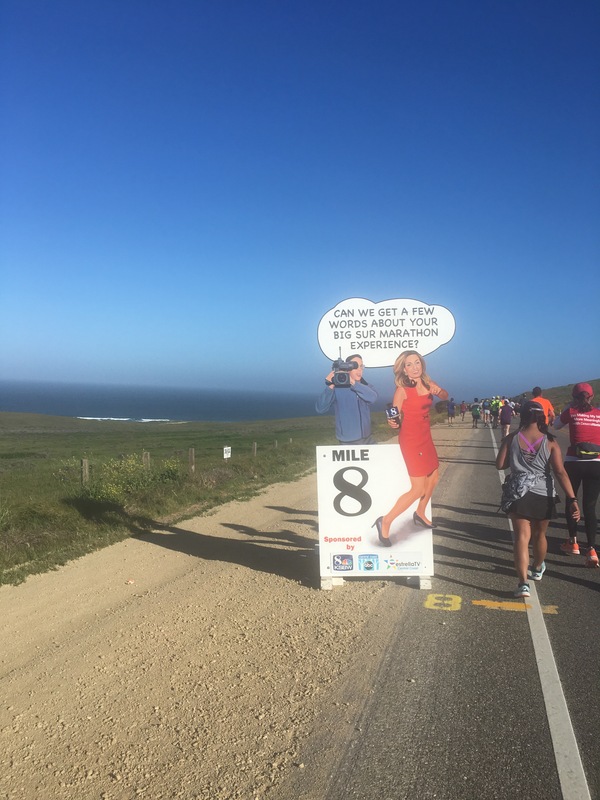 The mile markers were all sponsored and featured funny commentary and photos. They were all different and became one more thing to look forward to as I ran. 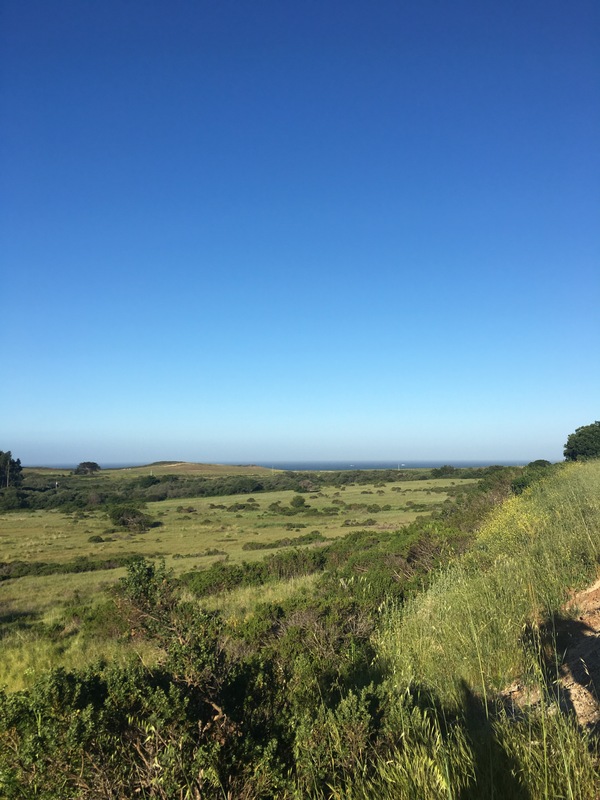 I knew about the long roughly two mile climb to Hurricane Point that begins after mile 10. I saw it laid out ahead long before I reached it. 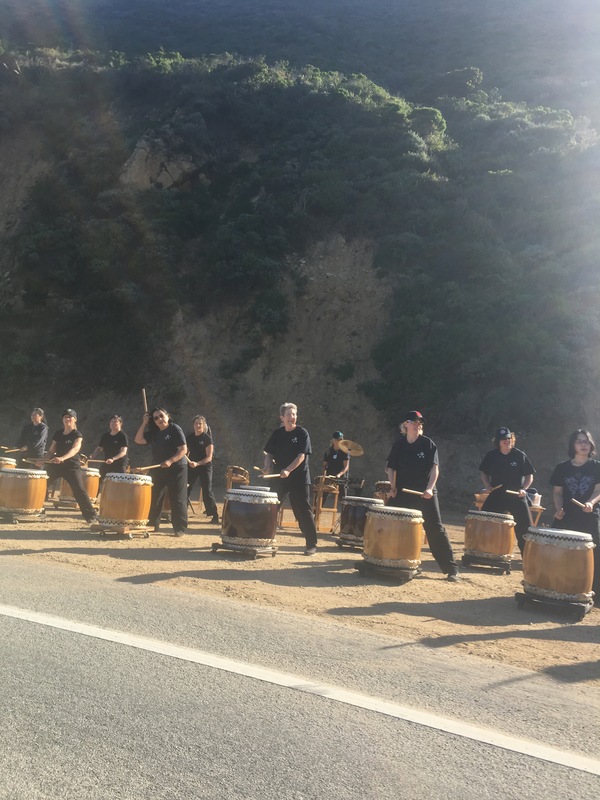 The music of the Taiko drummers at the foot of Hurricane Point energized me as I started up the ascent, but once the music was out of earshot I put my headphones on to keep me pumped up for the climb. The weather was ideal on race day. There was a little headwind as I pushed myself up to Hurricane Point. It was a long climb, but when you are looking out at the most beautiful scenery it doesn’t seem quite as difficult. 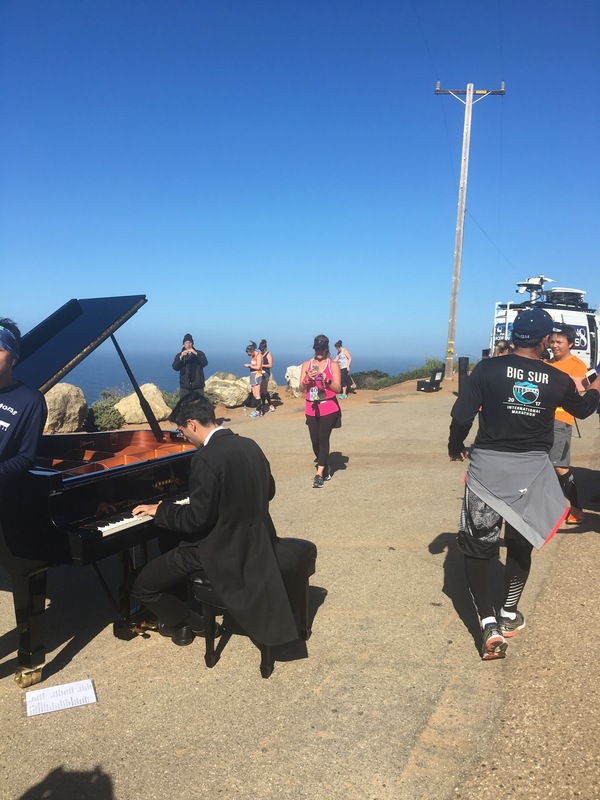 I knew that before I even reached the halfway point I would begin to hear the melodic tune of the infamous Bixby Bridge piano player. I took off my headphones in preparation. When the bridge came into sight and the sweet strains of the music touched my ears it was magical. I couldn’t see the grand piano or Michael Martinez, the man playing it, but the music and the view moved me to tears. I wasn’t prepared for such a rush of emotions. I felt like I was on top of the world, literally. In that moment I knew it was a privilege to be a part of this marathon. The second half of the course is a true test of strength and endurance as you tackle hill after hill. My shins seemed to cry each time I started on a downhill. I stayed at a slow, but steady pace and power walked the steep hills. I paused here and there to snap photos. 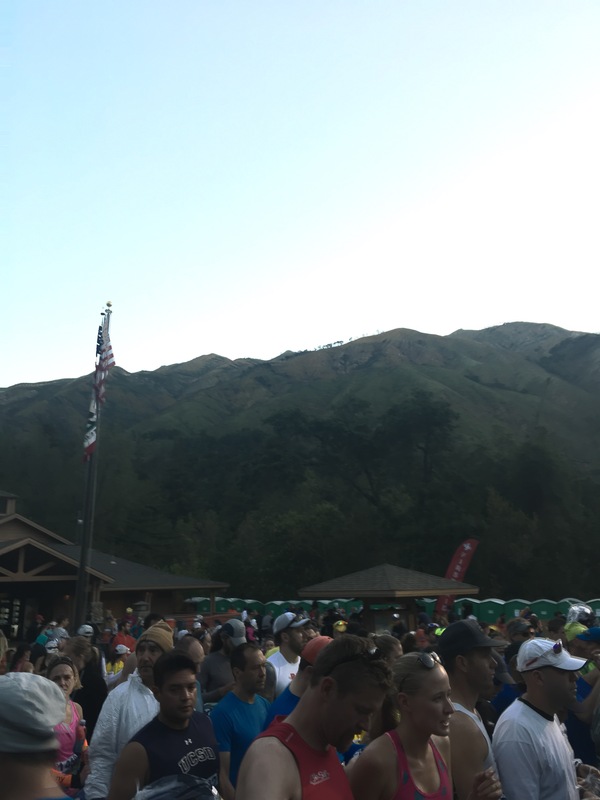 I stopped at nearly every aid station to refill my handheld and to slather on pain relief cream on my left calf. It seized up during my final long run the week prior and despite tending to it with massage, foam rolling, bio freeze, rest, etc. all week, I felt a twinge of tightening early on in the marathon. The cream helped a lot. 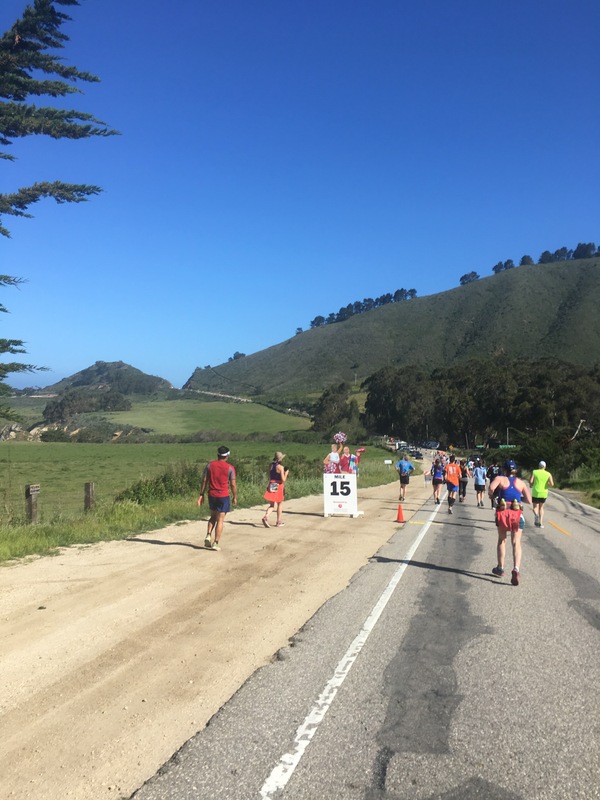 At the mile 23 aid station a woman asked about the famed strawberries and was told there were none this year. What?!! A collective frustrated sigh could be heard from all the runners who overheard. Fortunately the aid volunteer was mistaken and about a 1/4 mile ahead we were treated to the most delicious, juicy local strawberries. I was in heaven. The strawberries redirected my mind off of the discomfort in my legs and onto the happy party in my mouth. Everyone including myself seemed to perk up. 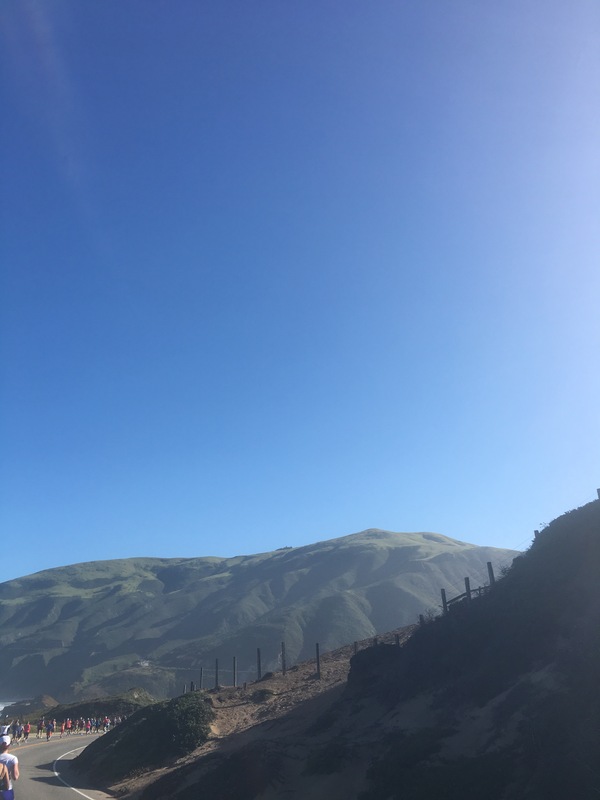 The hills never seemed to let up and as I stared ahead at the hill jutting from the mile 25 marker I reminded myself that it all I had to do was put one foot in front of another. I was almost there. I could do this. I turned around briefly to remind myself of how far I had come to get to this point, and then I powered up that hill. This is not a spectator race. Because of the road closure there is no way for friends and family to cheer the runners along the course so I knew I was very close to the finish when I finally heard the spectators. I saw Orlando and Carlos and the finish line. My eyes teared up again. I remember crossing the finish line of my very first marathon 5 years ago and it has been the same feeling each time…awe, disbelief, pride, and gratefulness. I did it! 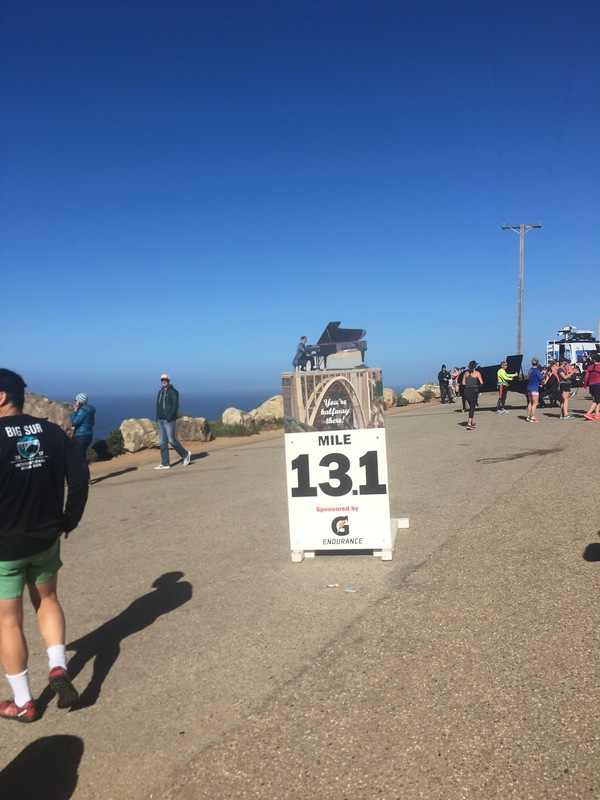 I completed the Big Sur International Marathon. It was a truly amazing experience and a life changing journey from training to finish.